Jake and Tony are a pair of unlikely friends who become best friends when Jake’s grandfather passes away and his family moves into the grandfather’s Brooklyn apartment. As the two form a close relationship, their families become more and more split as Tony’s mother runs the dress shop on the first floor of Jake’s family’s new home and her lease is about to expire. As tensions rise over money, the business dispute strains the two boys’ friendship. Little Men is very well constructed film with good writing and strong characters; writer director Ira Sachs has crafted a solid drama with believable situations and decisions made throughout. The cast is all around wonderful in their roles, especially Theo Taplitz and Michael Barbieri who play Jake and Tony, respectively. Another fine aspect of Little Men is the cinematography; while there isn’t any fancy camera work on display, the New York neighborhoods are shot in a way that unmistakably represents New York in a way cinema hasn’t done for me since the ’90s. If you are looking for a good drama that tells a compelling story, then Little Men is for you. 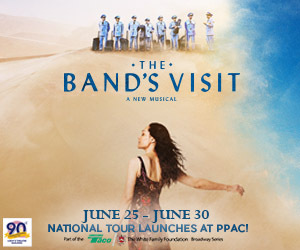 The film manages to both portray the complexities and ambiguities of friendships while acknowledging that life has many situations with complicated outcomes. 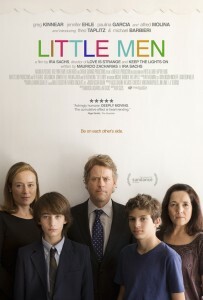 Little Men opens at the Avon Cinema on September 16. Next post: News Analysis: Was that a Rhode Island Political Revolution or Are You Just Unhappy to See Me?